Attorney General William Barr on Tuesday assembled a team to investigate the origins of Special Counsel Robert Mueller's investigation into the Trump campaign's interactions with Russia, Fox News reported. The announcement comes after Barr on Tuesday told members of Congress he was reviewing the Department of Justice's "conduct" during the summer of 2016. Republicans have asked for this investigation now that Mueller has completed his investigation. 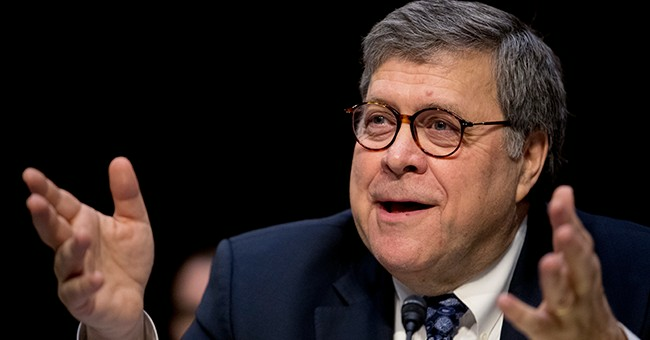 “I am reviewing the conduct of the investigation and trying to get my arms around all the aspects of the counterintelligence investigation that was conducted during the summer of 2016,” Barr said during the hearing. The FBI's ultimately successful warrant application to surveil Page, which relied in part on information from British ex-spy Christopher Steele – whose anti-Trump views are now well-documented – cited Page’s suspected Russia ties. The FBI incorrectly assured the FISA court on numerous occasions that other sources independently corroborated Steele's claims but did not clearly state that Steele worked for a firm hired by Hillary Clinton's campaign. "A DOJ court filing on Monday night revealed that Comey incorporated into his private documents, among other key details, the name and code name of a confidential human source," Fox News reported. This is a breaking news story. As more information becomes available, this post will be updated.